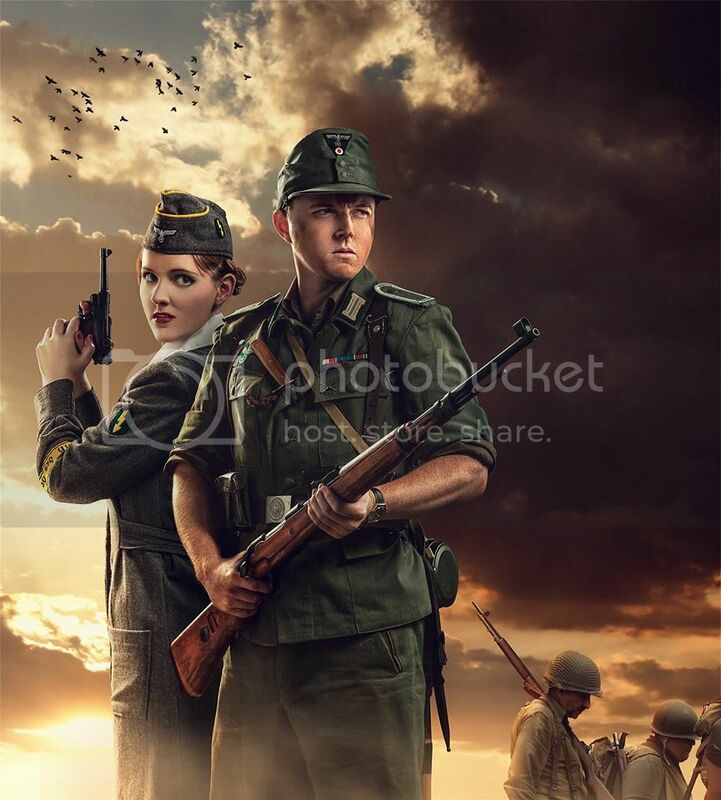 I am in the (very) early stages of putting together a Luftwaffe impression for a Fall of Berlin re-enactment event in May 2015, and I am looking for some advice. The basic idea is to do a Flak soldier from one of the Berlin flak towers, who has subsequently been pulled into the urban combat. Panzerfaust in hand (or even a Luftfaust, time and workshop permitting), fighting against the Red tide. 1) Which of the above items are incorrect, or unlikely for the impression? 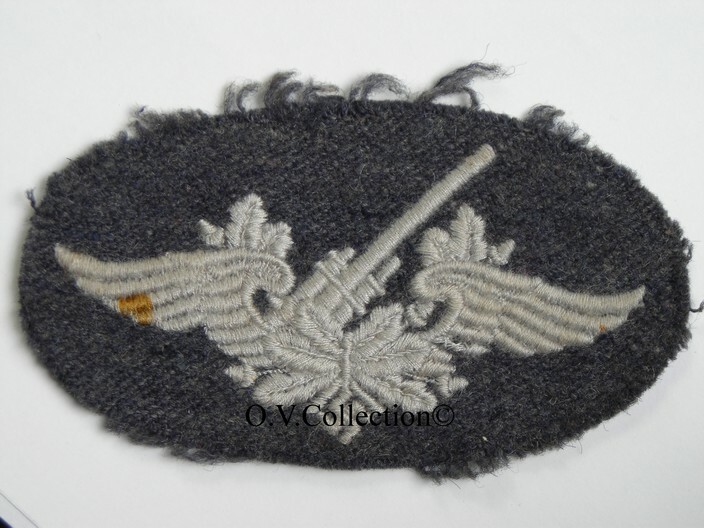 2) What trade patches, if any, would be suitable for a LW Flak soldier of Obergefreiter rank at this point in the war? Ditto for cuff titles, awards, etc from the flak towers (if any). 3) Should the belt buckle be painted field-grey as well, or left silver? 4) Should the gaiters be the LW blue models, or would the green Heer models suffice? 5) What is missing from my list? Some input from the more knowledgeable LW and FD folks would be greatly appreciated. Looks good. if you want you can also opt for an m44 pattern trousers and feldbluse as well. LW breadbag can be of any colour at this point, not necessarily blue. A greatcoat, without collar tabs, can also complete the impression, depending on the weather. as for trade badges? Sound locater could be one. Flak trade badge could be another. Are those the ones you are referring to? They go on the lower left arm, about 15cm up from the bottom of the cuff? I would have used field grey m43 kielhosen and green gaiters together with a blue fliegerbluse. If I may I would suggest a black belt with LW buckle to this impression. I'm really interested in how this impression develops. Please post pictures! Why ain't he got tress on his collar? It's a drillich tunic, so doesn't have to have it, plus he said late war...so almost anything goes.. But what's the crossed rifles on the pocket flap? I reckon she'd struggle to find the red nail varnish too ! Drillich tunic with mounted litzen? No sling on the K98 and WHAT is wrong with the bolt handle? The badge on the pocket looks like a US officer collar dog. Doesnt really belong there. Oooh, you guys with the sharp eyes... This shot was actually something we did as a promo for the WW2 airsoft group here in SA, so there were some concessions on accuracy. 2) Have one K98 sling between two rifles, and this rifle was the sans-sling one on that day. The bolt handle is off because the entire rifle is actually built around Dboys K98 externals (that rubbish, shell-ejecting _thing_) and a Tercel Bar10 springer internals. Notice also that the barrel of the gun is slightly longer than normal - with the bayonet mounted, the barrel tip still protrudes over the blade. 5) Collar tresse = will be added as soon as I can find someone that sells the subdued, late-war Heer version per yard/meter.